The company’s shares have jumped more than 80% in the past five years, but we feel they have more gains ahead, particularly as Agrium boosts its plants’ efficiency. The long-term need for more and better food will also keep spurring the stock. The company gets the remaining 25% of its sales and 40% of its earnings by making nitrogen-based fertilizers from natural gas. It also operates potash and phosphate fertilizer mines. In the past few years, Agrium has built up its retail business through acquisitions. In December 2010, it paid $1.2 billion for AWB Ltd., which operated 220 stores in Australia In October 2013, the company added 210 stores in Western Canada and Australia in a $485-million deal with Viterra Inc.
Declining fertilizer prices cut Agrium’s 2013 sales to $15.7 billion, but they improved to $16.0 billion in 2014. A drop in corn prices in 2014 encouraged many U.S. farmers to plant soybeans instead. But soybeans need much less fertilizer than corn, and the subsequent drop in fertilizer demand offset the benefit of the Viterra acquisition. As a result, Agrium’s earnings fell to $5.51 a share (or $798.0 million) in 2014. Without unusual items, the company earned $5.81 a share, down 20.2% from $7.28 in 2013. Agrium’s earnings should rebound as it completes several new projects in 2015. For example, the company recently finished a big expansion of its Vanscoy potash mine in Saskatchewan. Potash supplied just 2% of Agrium’s sales and earnings in 2014, but that will rise, as the company expects Vanscoy’s output to increase from 2.1 million tonnes in 2015 to over 3 million in 2017. Agrium is also spending $720 million to upgrade its nitrogen-fertilizer plant in Borger, Texas, so it can make both dry and liquid fertilizers. Agrium expects to complete this project in late 2015. Meanwhile, the company is making its overseas facilities more efficient. It owns 50% of Argentina-based Profertil, which supplies nitrogen fertilizers to South American farmers. Agrium also owns 26% of a nitrogen plant in Egypt, and it expects higher exports to Europe from this facility thanks to recent modifications. As these projects are winding down, Agrium expects to spend $1.3 billion on expansions and upgrades in 2015, down from $2.0 billion 2014. The company’s strong balance sheet will support these investments. As of December 31, 2014, its long-term debt was $3.6 billion, or a moderate 24% of its market cap. It also held cash of $848 million, or $5.89 a share. The company continues to sell less important assets, including two fertilizer-storage facilities in Illinois and their related operations for $50 million. 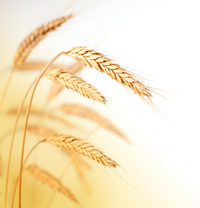 Asset sales and other productivity gains should save Agrium $350 million in 2015. Agrium is also looking at reopening its nitrogen fertilizer plant in Kenai, Alaska, which closed in 2008 due to a lack of reliable gas supplies. However, a group of gas producers is now considering building a facility to export liquefied natural gas (LNG) from Alaska to Asia, and Agrium may be able to use surplus gas from that plant to supply Kenai. If the LNG project is approved, it will likely take five years for construction to begin. Agrium sells its products in the U.S., but most of its expenses are in Canadian dollars. Currency gains and contributions from new projects should boost its 2015 earnings to $8.27 a share, and the stock trades at just 12.7 times the estimate. The company recently raised its dividend payout target to 40% to 50% of free cash flow (operating cash flow minus capital expenditures) from its earlier range of 25% to 30%. The current annual dividend rate of $3.12 a share yields 3.0%. Agrium also plans to buy back up to 5% of its shares over the next year. Recommendation in The Successful Investor: BUY. When oil prices rise, are you positioned to profit? Pat McKeough shows you how to make the most of oil and gas stocks in this free report. Plus you get a survey of all energy stocks, including power generation, alternative and nuclear energy. potash stocks, stocks, dividend, the successful investor, agrium, balance sheet, cash flow, acquisition, successful investor, canadian, inc, toronto, viterra.